It pretty much says it all about my philosophy on food that I don’t make my cranberry sauce with any cranberries at all and that I put cranberries in places most normal people would think they have no business being, like a BBQ sauce. My Keto Cranberry Kansas City BBQ Sauce spells things out loud and clear that absolutely nothing is sacred in my kitchen, but it often is unexpected and delicious. So, what is a Kansas City BBQ sauce? Well, listen — blood has been shed over less contentious issues than definitions of regional sauce variations, but I will share my personal definition. A Kansas City BBQ sauce is one that is tomato-based with thick body (possibly from ketchup) and near-overpowering sweetness. It’s basically dessert in bottled form. So, all that sugar presents a problem for the keto dieter. It is easy enough to change the sweetener to something keto-friendly and thicken the whole thing with something like xanthan gum. I suppose that would be ok if we wanted a BBQ sauce that was just passable and kind of boring and vanilla. That’s not what we do around here, so I wanted to make it more interesting and seasonal. I’ve been making a full sugar Fig Chile Kansas City BBQ Sauce for my non-keto friends and family for quite a while now. 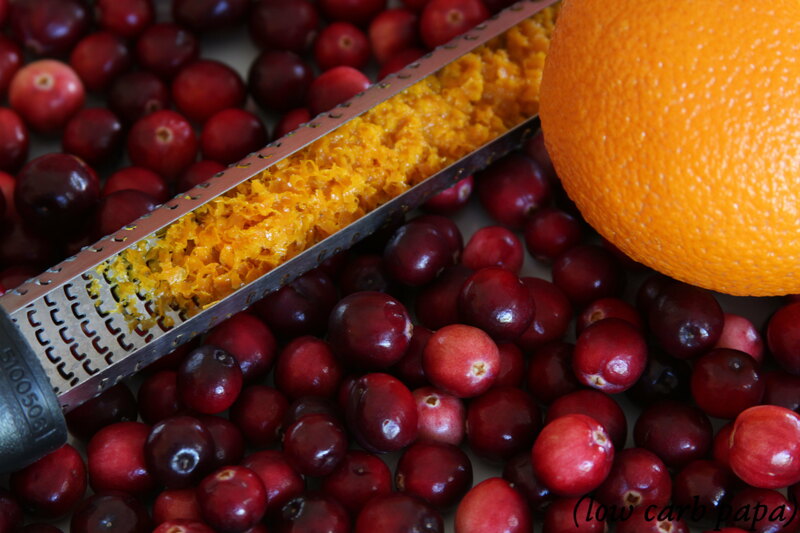 One of the things that struck me when I developed it was the degree to which the fruit thickens the entire sauce via fruit pectin, the “gel-ing” component of fruit we see manifested in foods like orange marmalade and cranberry sauce. Since berries are keto-friendly in reasonable proportions, I felt like a Keto Cranberry Kansas City BBQ Sauce was a reasonable experiment to undertake. The berries would certainly contribute to the texture and have a flavor strong enough to stand out from the background. I also hoped the intense, vivid red of the berries would tint the whole thing enough that you could tell something different was going on. My Keto Cranberry Kansas City BBQ Sauce ended up meeting all of those goals and more. The cranberries really slot right into the whole structure of the sauce in a way that makes it seem like they always belonged there. I added ground ginger and orange zest because of their natural affinity for cranberry and adjusted my normal amount of vinegar to account for what the cranberries bring in the way of acidity. I think that layered acidity that pulls this Kansas City BBQ sauce away from “dessert land” is actually the key to this recipe. My only regret is that I didn’t make enough — it only lasted one weekend here. The cranberries lend texture, crisp fruity pop, and a beautiful deep red tint to your usual Kansas City BBQ sauce while adding a touch of holiday cheer. 13.5 oz Heinz Reduced Sugar Ketchup This is one container. See the recipe notes for an alternative. 2 oranges (zest-only) We are just using the zest. 1 pinch ground allspice Just a tiny bit! It goes a long way. Put everything in a pot and bring to a simmer. As the cranberries cook, they will soften. Mash them against the sides of the pan like you would if you were making cranberry sauce. It is ok if you miss a few, this is going to also get blended. 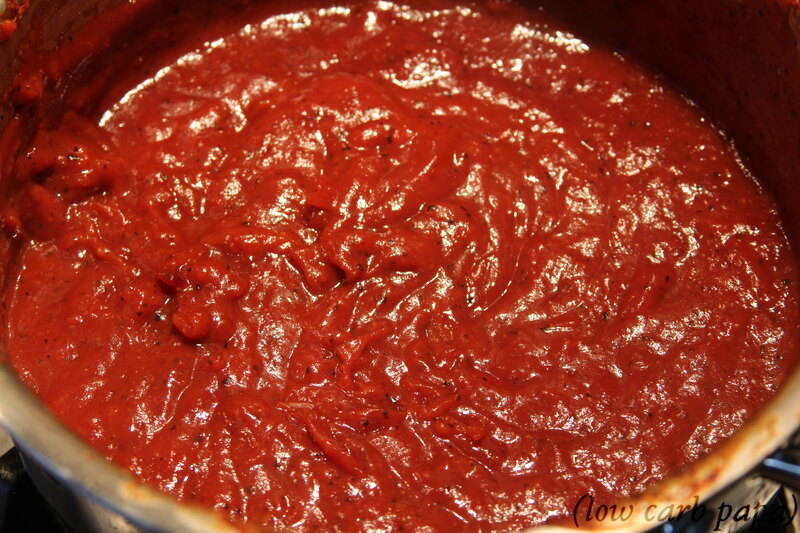 Once the sauce has thickened appreciably, blend the entire contents of the pot. Either a stick blender or stand blender is fine. I used a stick blender in my case. If you taste it while it is hot and feel it is too spicy, don't adjust anything! It's just the ginger and cooling the sauce away from a simmer will tame it's heat. If you don't want to use a store bought low carb ketchup, consider using my Keto Heinz-Style Ketchup recipe. 5 Replies to "Keto Cranberry Kansas City BBQ Sauce"
On par with the Heinz reduced sugar ketchup. Working on getting that feature up. I asked for a keto-friendly KC BBQ sauce, and you delivered, Sir! I am definitely going to try this sometime this week. Thank you! Awesome! Let me know how it goes. Pictures or it didn’t happen! Making a batch right now for tomorrow’s family gathering of ribs and pig tails. Will follow up with pic’s and thoughts from the masses… it smells amazing so far. One slight change, I did add 5 drops of liquid smoke. Hope your ok with that. Cheers and thanks..